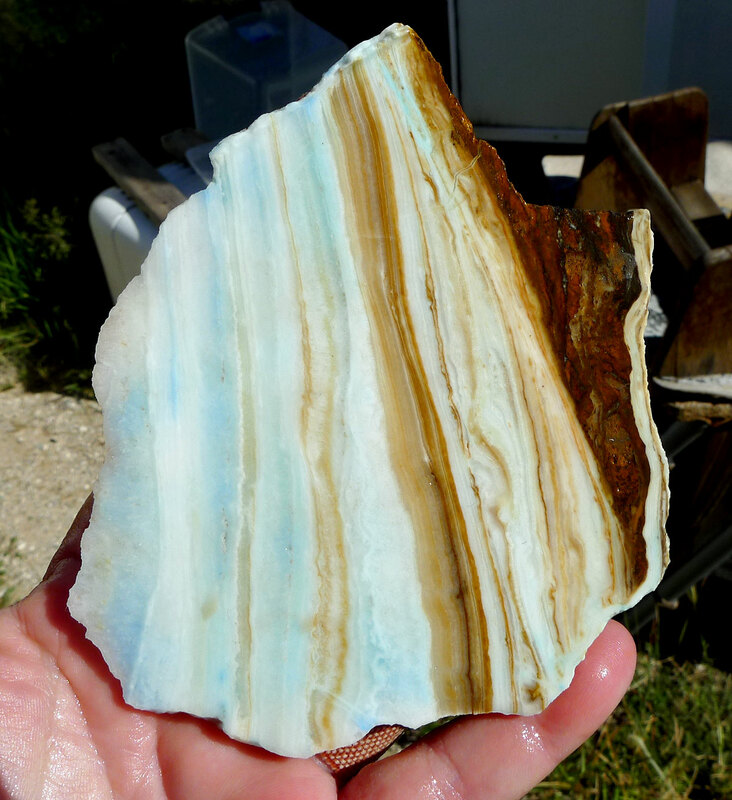 Natural Banded Blue Aragonite Slab for Lapidary Artists, Cab Makers, or Lovers of Rare Stones. 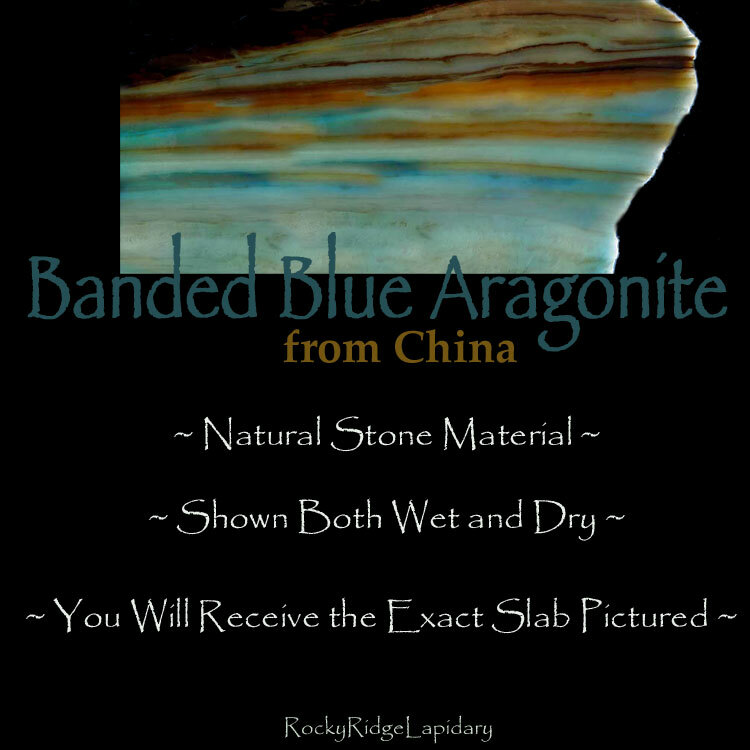 You'll receive the EXACT Blue Aragonite slice Pictured. Weight : 4.20 oz. - 119.07 gr. - 595.34 ct. This is a gorgeously patterned natural stone from China. Aragonite is a polymorph of calcite. 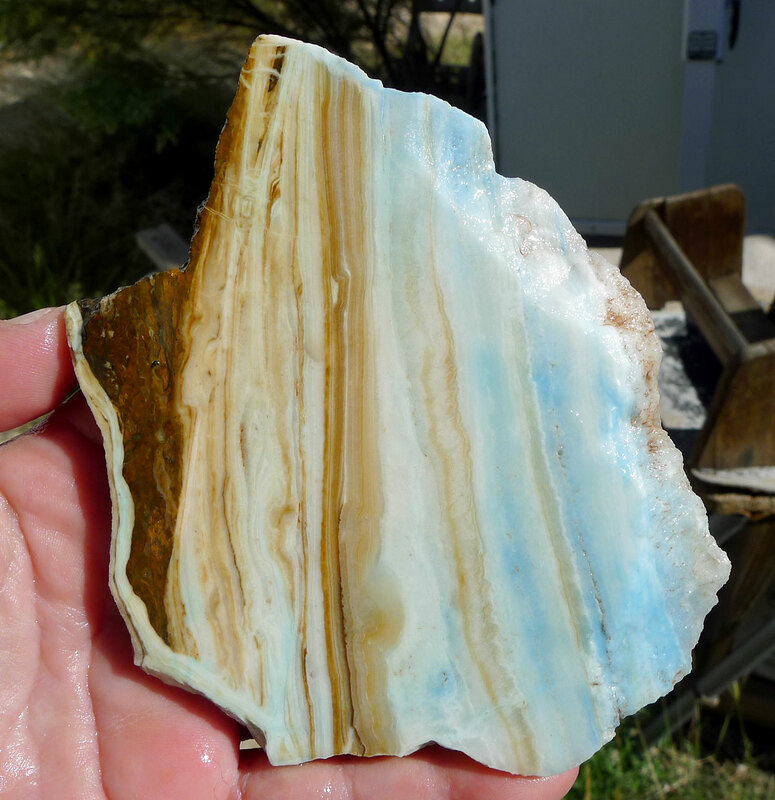 Blue Aragonite is a light turquoise blue variety of a calcium carbonate mineral - It's color varies from light blue that looks almost white, to deeper blue shades. 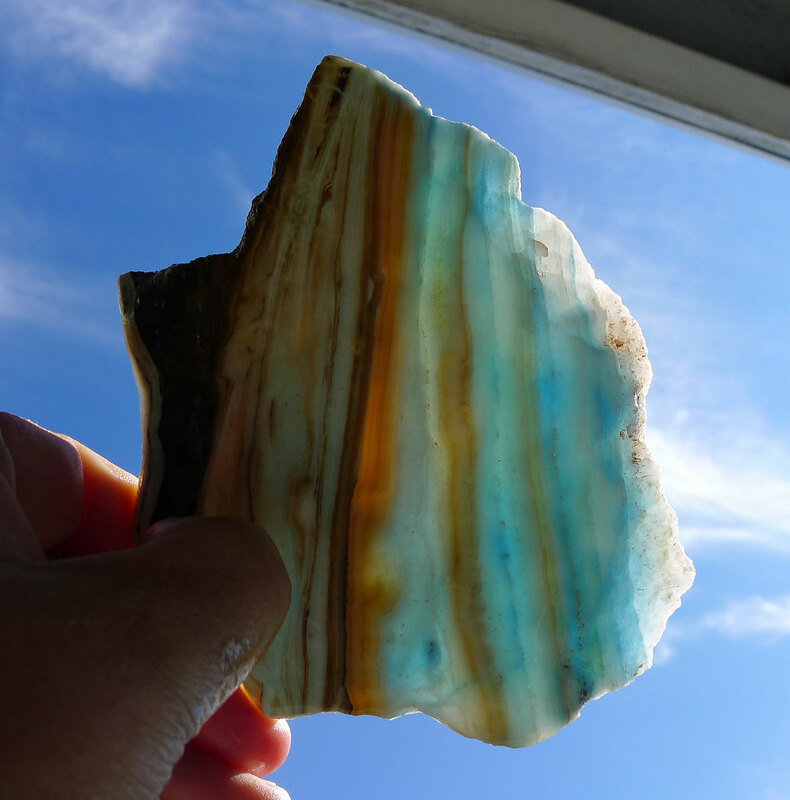 Metaphysically, Blue Aragonite is considered a strong stone of spiritual vision that increases ones receptivity to Divine guidance.